production or consumption of alcohol was illegal). The average sales tax rate on alcohol varied from 3% in the Federated States of Micronesia to 30% in Sierra Leone and Tajikistan, with an average sales tax rate of 16.6%. Determining a proportion of excise tax from alcohol products... is a good strategy to secure a reliable and sustainable source of funding to support health promotion activities. If people spend less money on alcohol, they will spend more money on other goods, which will create jobs elsewhere in the economy. Link to WHO's web site. Pricing policies and alcohol taxation was defined as one of the key elements of national alcohol policies by the Global Strategy to Reduce the Harmful Use of Alcohol (WHO, 2010). It has been defines as one of the three “best buys” in the Action Plan to combat non-communicable diseases, and the research monograph Alcohol No Ordinary Commodity (2010) has rated pricing and taxation as highly effective and low-cost interventions to reduce harm from alcohol. In spite of the convincing evidence many countries have not yet started using taxation in an effective way in their national policies. Only very few countries have followed the Thai and Botswana example to earmark a part of alcohol taxation revenues for prevention and treatment of alcohol problems. Taxation is in other words highly cost-effective for governments; the costs of implementation are low and the results are big. 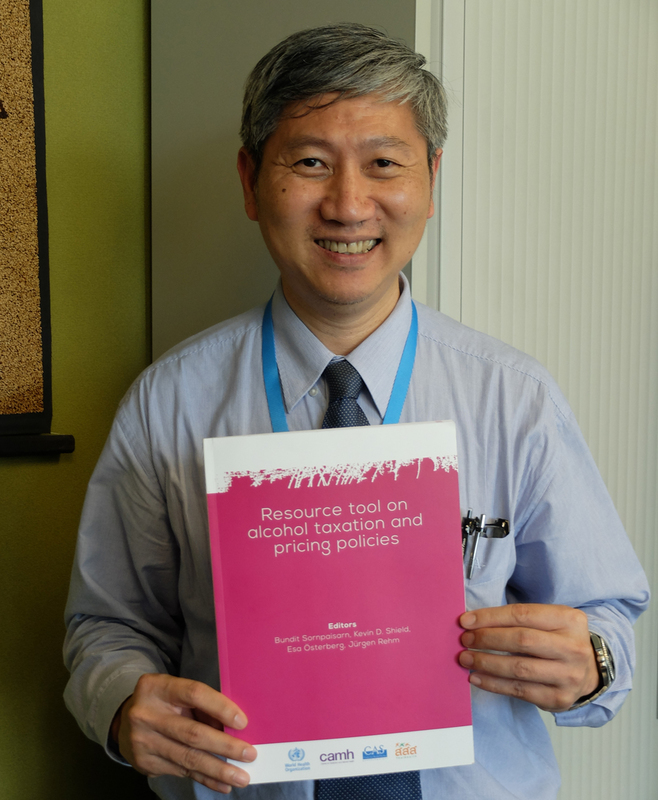 By publishing a new booklet, “Resource tool on alcohol taxation and pricing policies”, the World Health Organization intends to make it easier for Member States to develop national alcohol taxation schemes. The new WHO publication is a valuable tool not only for policy makers, but just as much for NGO activists and policy advocates. “This will enable them to more effectively ensure for the inclusion of key public health perspectives in the design and implementation of alcohol taxation and pricing policies”, says the Executive summary. The authors of the booklet are well-known names from the field of alcohol research: Bundit Sornpaisarn (picture below), Kevin D. Shield, Esa Østerberg and Jürgen Rehm. The development of the publication has been supporten by ThaiHealth. 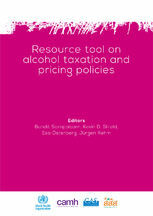 The publication concludes that “Alcohol taxation and pricing policies have several public health, economic and social benefits as they have the capacity to: 1) generate tax revenue, 2) reduce alcohol consumption and associated harms (covering both externalities and internalities) among various groups, including young people and heavy drinkers, and 3) prevent the initiation of drinking, which is an important preventive strategy in low-and middle-income countries that have a high prevalence of lifetime abstainers”. The issue of ear-marking or dedicated funding is also addressed in the booklet: “Determining a proportion of excise tax from alcohol products (and other products such as tobacco) is a good strategy to secure a reliable and sustainable source of funding to support health promotion activities and to control problems caused by harmful alcohol consumption. Determining the special budget can result from non-legislation budgeting by the government (called “dedicated tax”) or from a legislative process of the parliament (called “earmarked tax”). Sources of this budget can also be an existing excise tax (earmarked) or may be an additional source on top of the existing excise tax (“surcharged tax”). This resource tool is developed under a Memorandum of Understanding between ThaiHealth and WHO as a part of a broader effort by WHO to develop technical tools and resource materials in support of implementation of the global strategy to reduce the harmful use of alcohol.